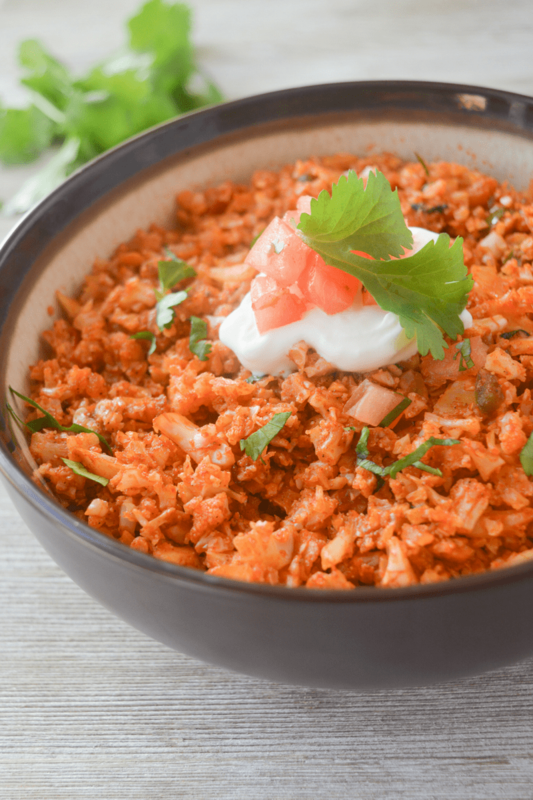 This Keto Mexican Cauliflower Rice is a savory side dish to complement any low carb Mexican dish. 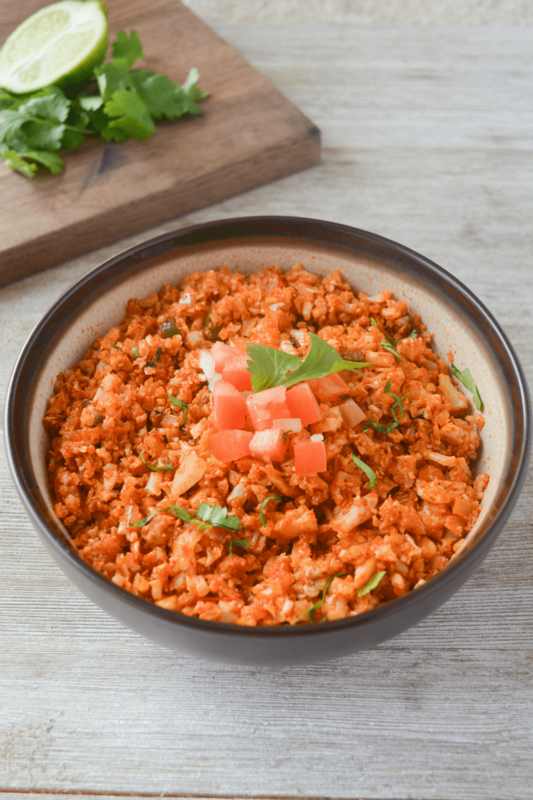 Especially if you’ve been struggling to make cauliflower rice a part of your diet, you NEED to try this recipe! I’ve made very clear my love for Mexican food. In my opinion, it’s one of the best cuisines available because it’s usually pretty quick to make, extremely flavorful, and satisfying. 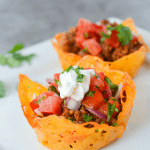 Just look at the Keto Chicken Enchilada Bowl or the Cheese Shell Taco Cups. DELICIOUS. 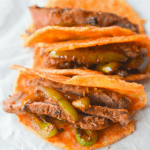 But most foods that you would either order at a Mexican restaurant, or prepare at home without a low-carb diet contain more of the carby, non-keto friendly ingredients like flour, corn, and beans. 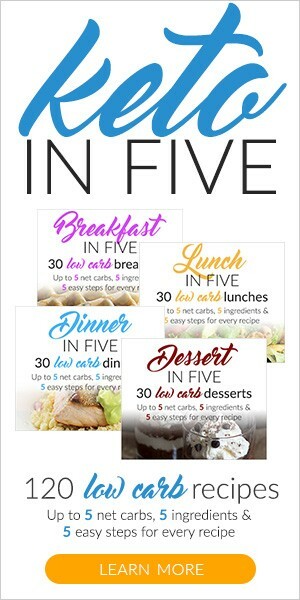 Thankfully, there are plenty of easy swaps that can take care of your cravings without the need to miss out on all the goodness. 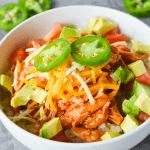 Cauliflower has been increasingly popular, even outside of keto circles as a rice replacement for people who are generally trying to eat healthier. And for good reason! It might not be your favorite, but it is a low carb vegetable with plenty of nutrients to fill you up and make you feel good. I agree, cauliflower can take some getting used to…and it’s generally pretty plain. But the upside of the blandness is how easy it is to customize the flavors and really make it your own. 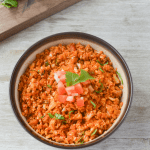 With just a few simple ingredients, and one skillet you can turn plain riced cauliflower into a steaming, savory, crowd-pleasing keto side dish. 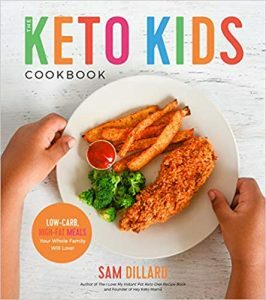 Cauliflower and tomatoes are on the higher end of carb counts for vegetables that keto followers generally find acceptable. One tip to lower the carb count is to just bring down the serving size. You might find that one cup is more than you need, especially if you’re pairing this dish more satisfying goodness. Remove core and leaves from cauliflower. Cut into florets and pulse in food processor or use grater. Set aside. In skillet, over medium heat, add coconut oil and tomato paste. As coconut oil melts, gently mix with tomato paste. Add onion and jalapeno to pan. Cook until the mixture begins to soften, about 3-5 minutes. Add garlic to pan and sir for 30 seconds, then pour in chicken broth. Add riced cauliflower to pan. Sprinkle salt and chili powder over cauliflower and gently fold into broth until coated and red. Continue cooking cauliflower until most moisture in the pan has evaporated and cauliflower is tender, about 10-15 minutes. Turn off heat and fold in cilantro. Serve with diced tomatoes, sour cream, and additional cilantro, if desired. You can use frozen cauliflower, but you may need to reduce the amount of broth. 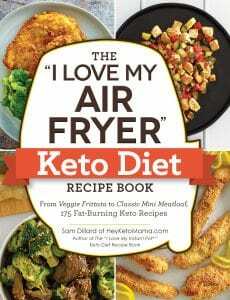 I’m new to keto. I found this recipe bland as written. I ended up using the prep method I would use for my traditional Mexican rice. Sauteing the onion, garlic and jalapeno in the oil, then sweating the spices with the onion, garlic and jalapeno , along with some fajita spice (recipe at Genius kitchen), then I added the riced cauliflower and bouillon rather than broth. I covered and stirred occasionally, until tender and all liquids were evaporated. We then had a delicious rice substitute.